ODON, Ind. – Over the past year, the Battery Innovation Center (BIC) has more than doubled its client list, served as an incubator for BrightVolt’s unique battery technology, and promoted economic growth in WestGate@Crane Technology Park , throughout Indiana and globally. Ben Wrightsman, president and CEO of the Battery Innovation Center, will discuss the growth of the center, new developments in battery storage technology and the potential benefits to businesses and communities. The presentation, presented by Purdue@WestGate, will take place on Tues., May 1, at WestGate Academy from 3:30 to 4:30 p.m. EST. Wrightsman said the center has taken educational initiatives to connect with the community and its businesses about how battery storage can be used across industries. “The BIC team has been working hard to reach out to people and businesses outside the immediate battery industry to express how the technology is applicable to them. 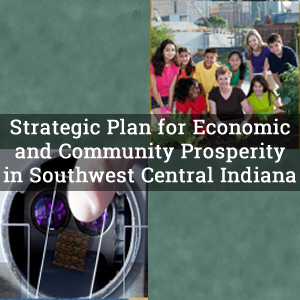 We’ve found success with our recent outreach initiatives and we’ve brought business to southern Indiana, the BIC, WestGate, and NSWC Crane that previously had no connections here,” Wrightsman said. Jason Salstrom, director of Purdue@WestGate, said growing partnerships, such as the one between the BIC and BrightVolt, are a huge benefit to the regional economy. 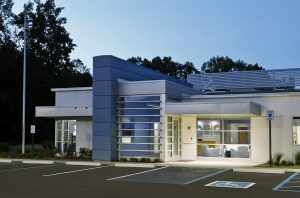 The Battery Innovation Center is a unique public-private partnership and not-for-profit organization that incorporates leadership from commercial enterprises, government organizations, and world-class universities to focus on rapid development, testing, and commercialization of safe, reliable, and lightweight energy storage systems for commercial and defense organizations. Located near NSWC Crane, the BIC provides both a virtual collaborative network of capabilities needed for development of next generation energy storage solutions as well as a state-of-the-art $15.6 million energy research lab and testing facility. The BIC is also home to Underwriters Laboratories (UL) Battery Energy Storage Technology test facility (UL BEST).